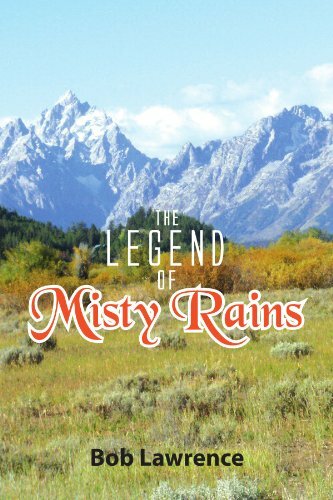 Welcome to Bob Lawrence author of "Legend of Misty Rains"
Raised by his Mountain Man uncle, Misty was thrown back into his Mother’s Boston society lifestyle. The war honed his gun skills and the Rangers gave him a badge but the dime novels made him a hero. Ambushed and sold to the Indians, Misty spent years in a Mexico mine prison. Escape led him to the range wars of New Mexico. Sick of the killing on both sides of the law, Misty was trying to return to the mountains he called home. Looking for peace and a simple way of life he was going home either to heal or to die. Bob grew up in the Central Texas town of Giddings, where he found the mystery and thrill of books at an early age. From his love of literature he made himself a promise to write his dreams and in some small way pay tribute to those who had given him such enjoyment. Bob Lawrence spent his teenage years working in the family business and participating in school sports where he excelled at sports and music. Bob frequently performed with local bands later formed his own local group in the Houston area. After graduation, Bob went to work for Southern Pacific Railroad, served in the military during the Vietnam war then continued his employment with the railroad until his retirement in 2004. With his son, Vince, and daughter, Tina, grown and living successful lives, he turned back to his dream of writing. Welcome Brooklyn James, author of "Vigilare"
Detectives Gina DeLuca and Tony Gronkowski investigate a string of murders among Vanguard's most loathsome population, rapists and pedophiles. With fed up citizens, the city is on the verge of a vigilante uprising in support of their seemingly super-human Vigilare with the sparkling emerald green eyes. Friend or foe, Vanguard Police Department has a job to do in bringing the vigilant one to justice, causing their own internal battle with right and wrong. Following their leads, Detectives DeLuca and Gronkowski find themselves pulled into a mysterious world of super blood and super powers and closer to the Vigilare than ever expected.